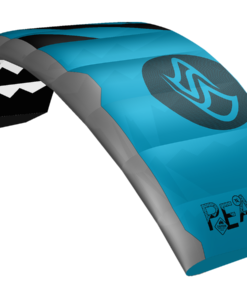 FLYSURFER has revolutionised the entry into kitesport with this unique self-inflatable closed-foil kite concept. 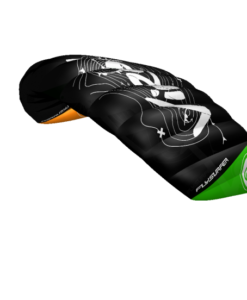 The design team met their brief to create a kite that is very intuitive to use, safe and a special tool for training in kiteschools. The VIRON3 allows beginners with the necessary basic knowledge, to develop their own experience in dealing with wind and water and to spend more time with their kite allowing them to progress faster. The thick profile and lower aspect ratio of the wing decrease lift whilst the flattening of the leading edge reduces the lift/drag ratio. These design characteristics mean reduced acceleration within the power zone and therefore moderate power development to facilitate control. The spherical shape of the VIRON3 is perfect for relaunching, preventing quick leewards drifting. 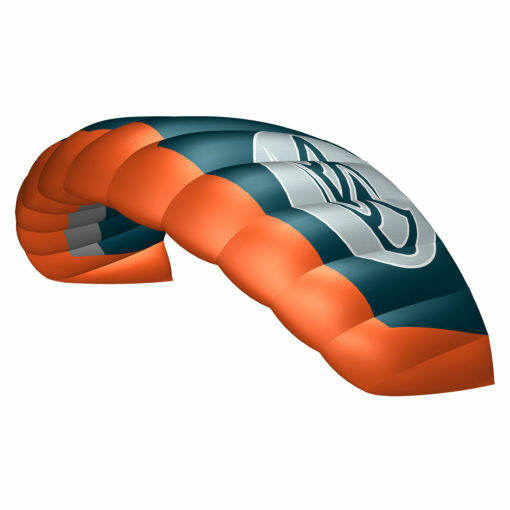 Our integrated B-Safe system reefs the kite in an emergency situation, therefor minimizing wing area and a resulting loss of power. Beginners benefit from these design features as they help to prevent common situations when learning, which can be very stressful. 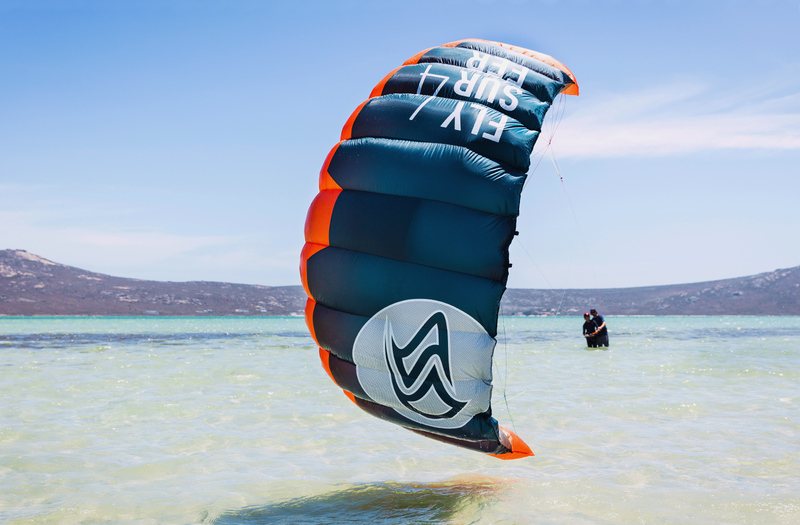 At FLYSURFER we are convinced that we have designed the best product for kite lessons, so that the dream of kiting can be achieved successfully whilst always being fun. The B-Safe System is guided through sliding rings outwards along the A-Level. After activating the quick release, the bar slides up the 5th line and the kite is reefed horizontally in the middle. This removes the pressure in the kite and allows it to come down powerless through the wind window. The VIRON3 can be reactivated upon demand and is immediately ready to re-launch. The Simple Bridle Concept has an A-level bridle, as well as brake level bridle (Z) and comes without a mixer (pulley system). The direct connection of the flying lines, achieves light bar forces for easy handling. The kite uses pulleys on each wingtip to improve feedback when steering. 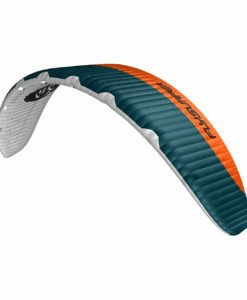 The excellent depower is significantly supported by the flattening of the leading edge which reduces lift. 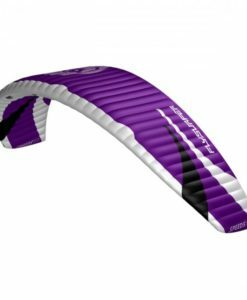 This combination of features never lets the VIRON3 accelerate abruptly, which greatly increases control in stronger winds and makes the kite more predictable. Durability and quality are essential for training use. The VIRON has a special material mix that features double stiched seams, reinforced ribs and straps at load points. Elastic, air-permeable mesh panels are integrated in the chambers to absorbs the impact energy. The top and bottom sail is made out of our proven 32g DLX+ fabric (Double Rip Stop). 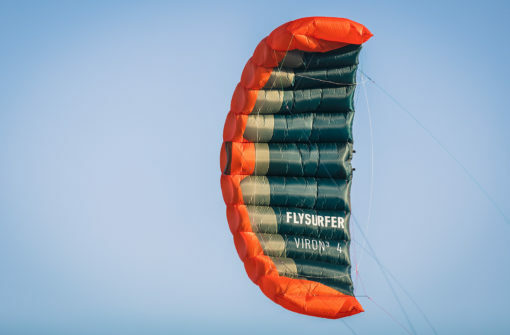 The VIRON3 is the only closed-cell foil kite to have such an effective auto-relaunch. The kites outline and thick profile mean the VIRON3 can be relaunched with very little effort simply by turning the bar. Ideal for children! FLYSURFER significantly improved the inflation of the VIRON3 by including a sharknose in the leading edge and integrate rigid foils around the air intake valve. 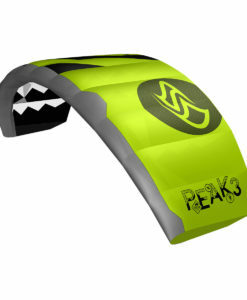 These allow the kite to form its wing profile faster and maintains optimal dynamic pressure during turning. 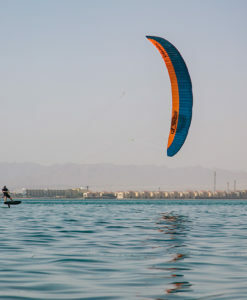 The start and (water)restart is faster and kite control further increased. The VIRON3 has a large air intake that reaches up to the trailing edge and largely prevents possible ingress of water. The drainage system is integrated into the whole trailing edge of the kite and ends in the form of hand-wide openings at both wing tips. This allows water and sand to drain automatically from the kite, without affecting the kite’s flying behaviour. The wind range is done as a guideline only. It is based on a rider weight of 75kg. Size choice is dependent on skill, board size, conditions and experience. If in doubt go for a smaller size.